This bottle was oxidized for about a year. Not the usual Mac 18 smooth operator, but its relatively big oakiness and banana on the nose was an interesting take on this classic. Orange marmalade, golden raisins, a little eucalyptus, ripe mushy bananas, quite a bit in fact. Loads of golden raisins, white chocolate, cinnamon coffee cake, and oak/tannins. Spikey mouth! Medium, dry, orange peel, more oak/tannins. Extremely good whisky. Round, yet sharp. Complex. Not an absolute "sherry bomb" as you might expect. But very delicious and balanced and of course already with the typical sherry taste, which integrates wonderfully into the overall picture of the whisky. Very tasty and always a treat! T: sweet sherry arrival, perfectly at ease, high quality sherry arrival. Mellow for an 18, easily held in the mouth. Everything is really easy with oudles of honey and butter with italian herbs, coffee note all supported with the most sophisticated and polite wood tannin levels. All quite intense and subtle, everything is just so. C: In some ways a simple daily drinker, on the other a subtle and complex malt. Those familiar speyside wood tannins so often a little too bitter for me are in perfect balance against the honey grain. This isnt an overly exciting malt and it reminds me of the [perfectly boring] Lagavulin 16. That isnt fair of the Mac 18, this is perfectly delightful. You dont have to work hard with this unless you want to. I see why this has gained such a following, held up as the model Speysider. Scores highly for its pure clean sherry nose alone. T: Vibrant wood tingles - bitter sweet and a big malty mouthful with the unnecessary caramel - unnecessary because it naturally becomes sweeter and thicker as that sherried maturation shows off its 18 years. F: Aniseed, caramel and vanilla with a fresh woody finish. C: This particular bottle is tired and needed finishing months ago. 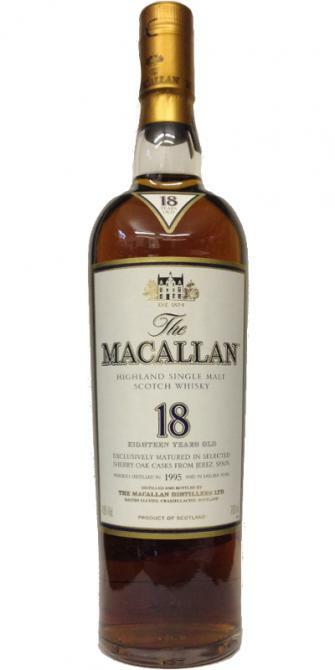 In general however, the Macallan 18 is a very good drinker as many people will testify but with prices now reaching £200 at time of writing, theres a lot of competition around for your hard earned cash and your palate - Yamasaki 18 £148, Highland Park 18 £95, Glendronach 18 [Allardice] £53 and plenty of Glendronach single cask vintages for half the cost,…. and lets not forget that we are only paying these ridiculous prices because of short-term business practises and a lack of invest shortfall back in the day. I know where my money's going. 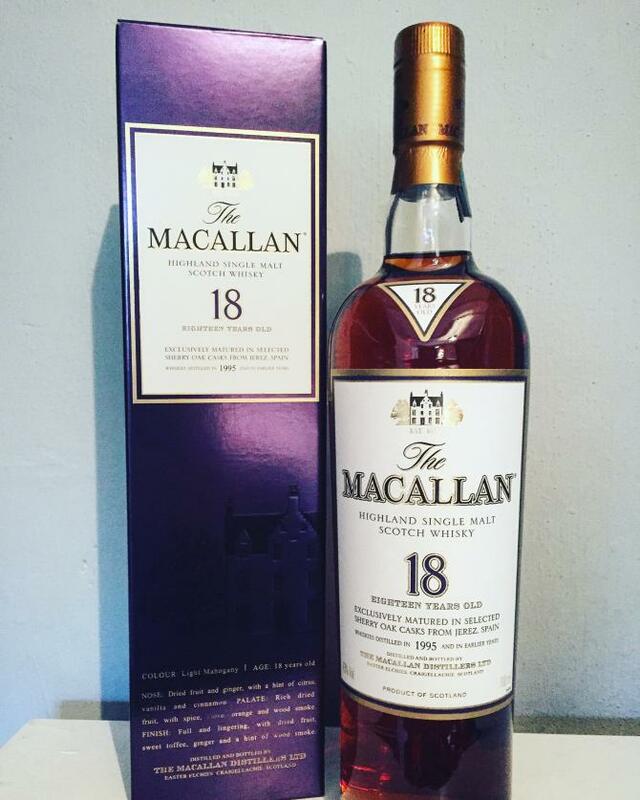 he latest vintage release from The Macallan - the 1995 Distillation. Nose - Dried fruit and Ginger with a hint of vanilla cinnamon. Palate - Rich dried fruit, with spice, clove, orange and wood. Finish - Full and lingering, with sweet toffee.